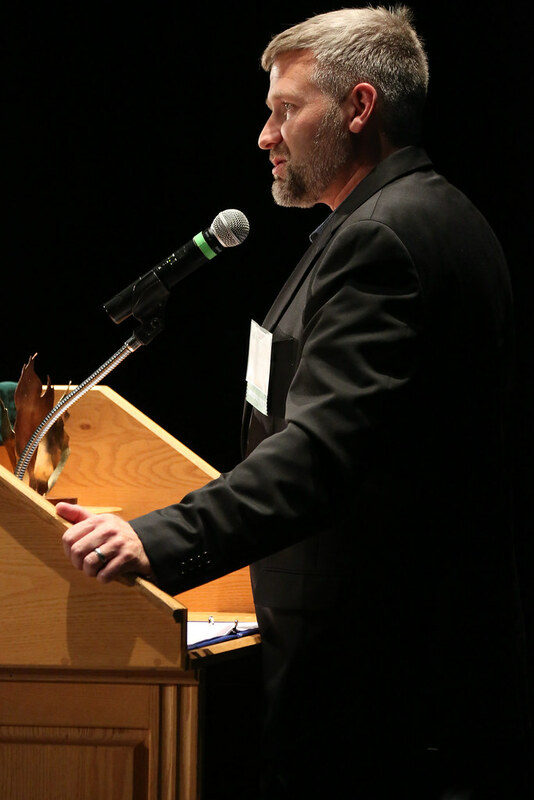 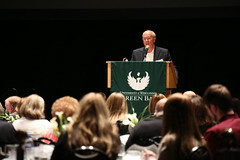 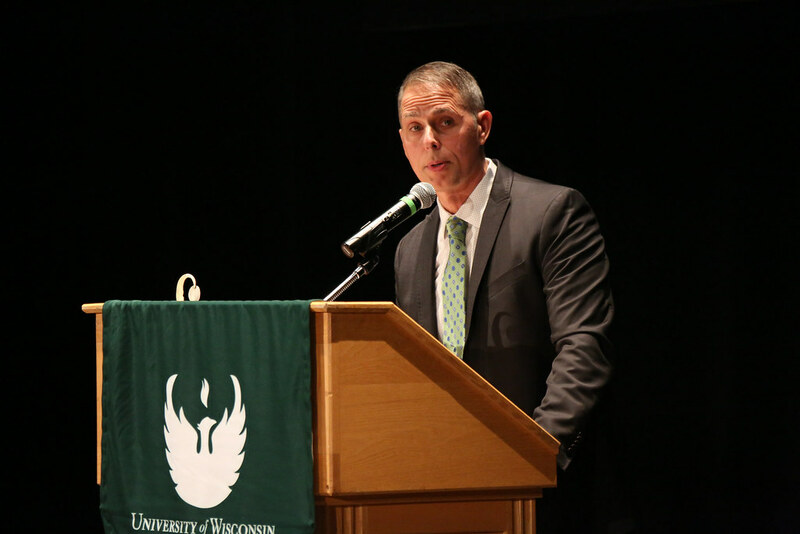 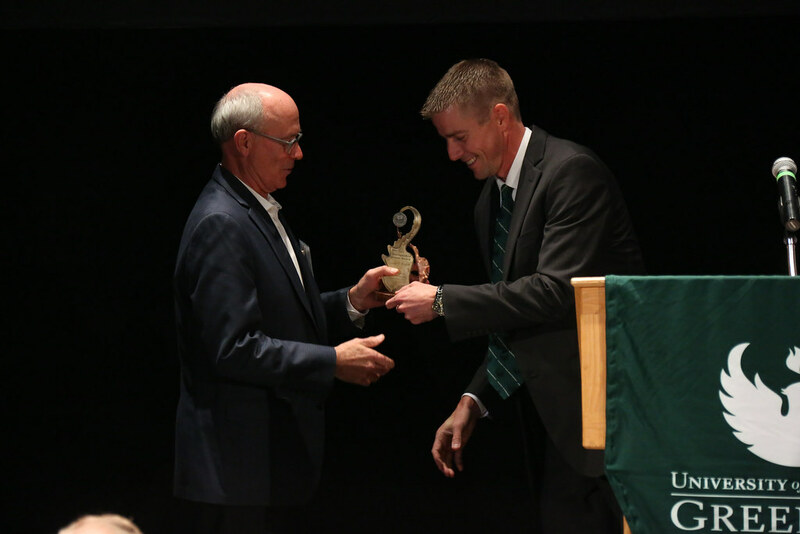 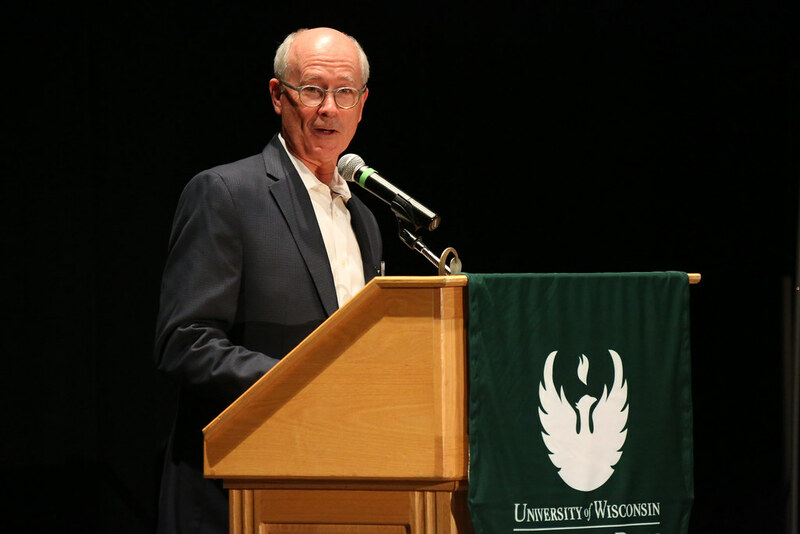 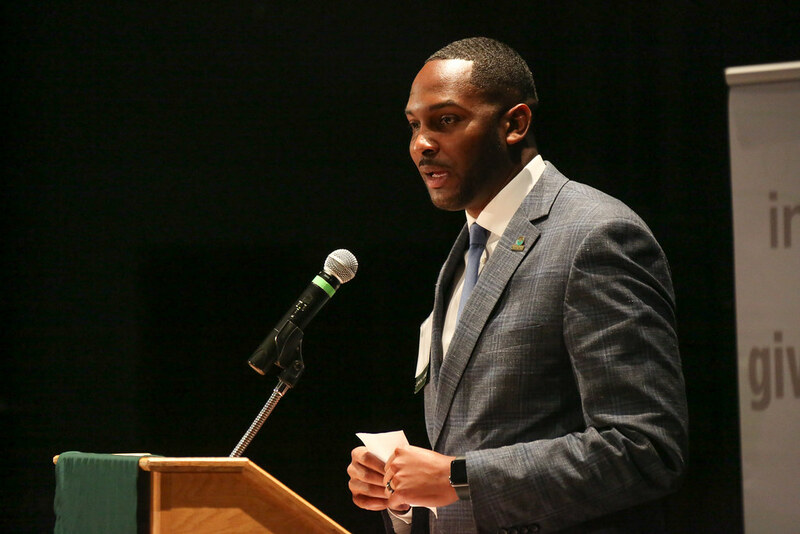 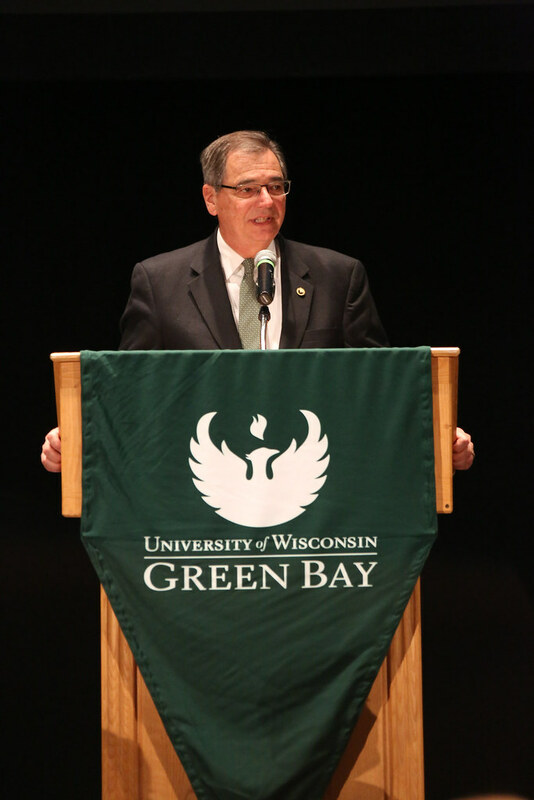 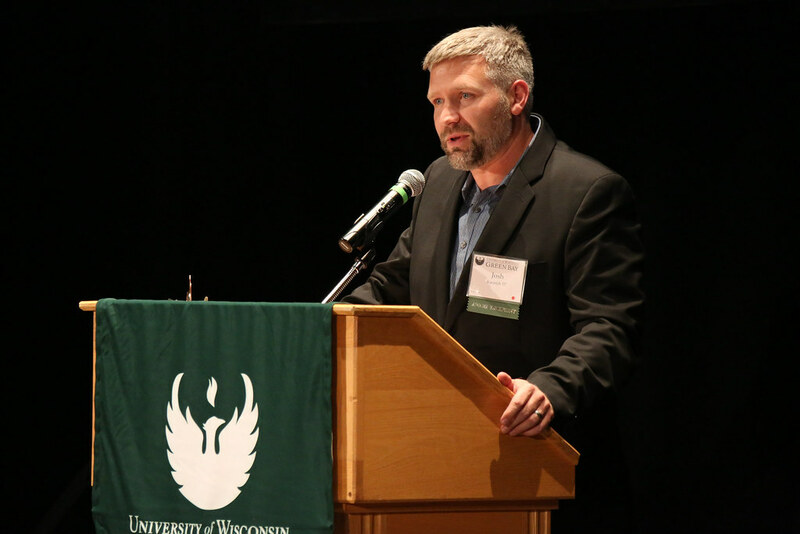 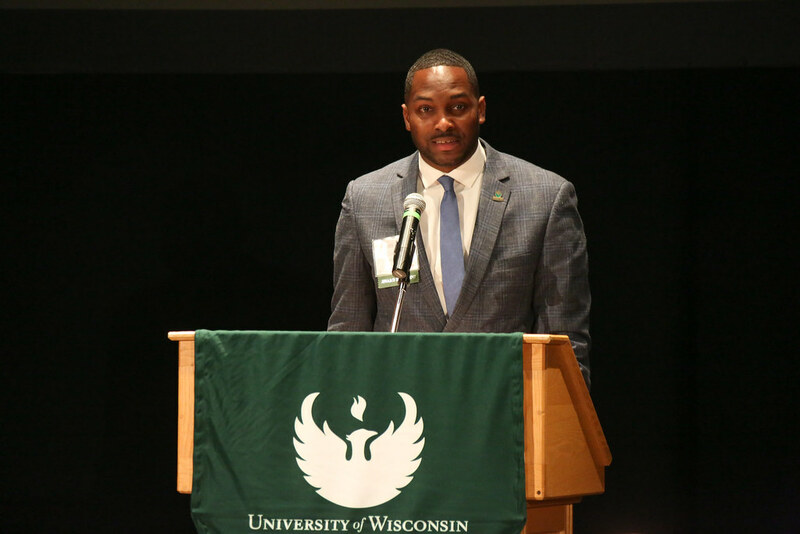 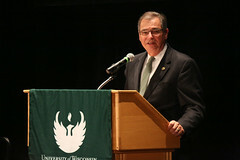 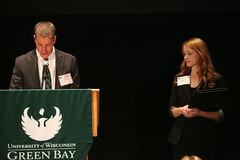 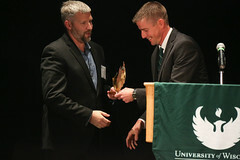 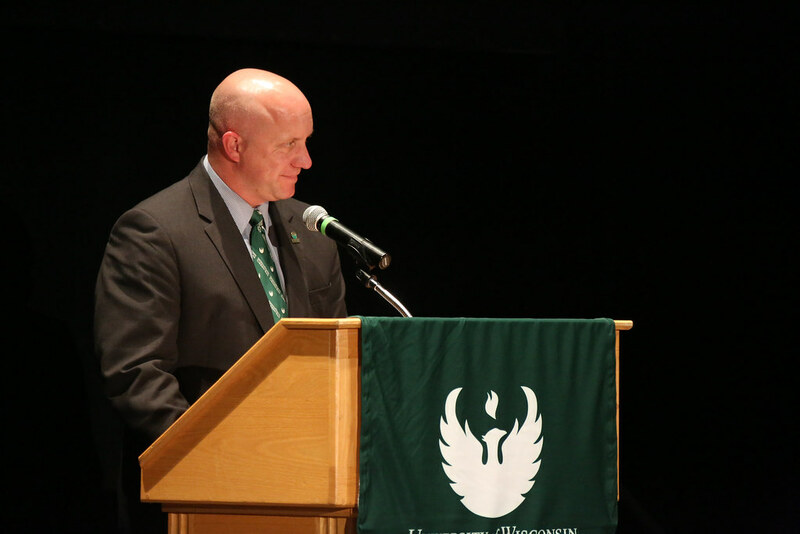 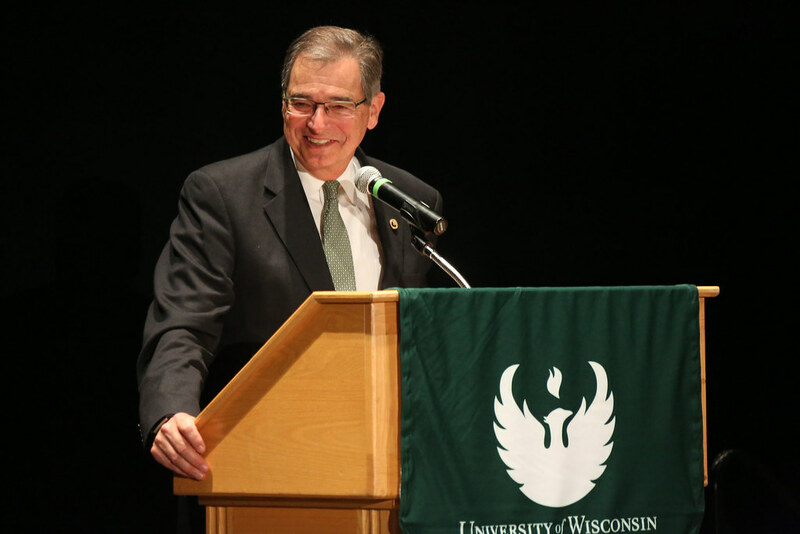 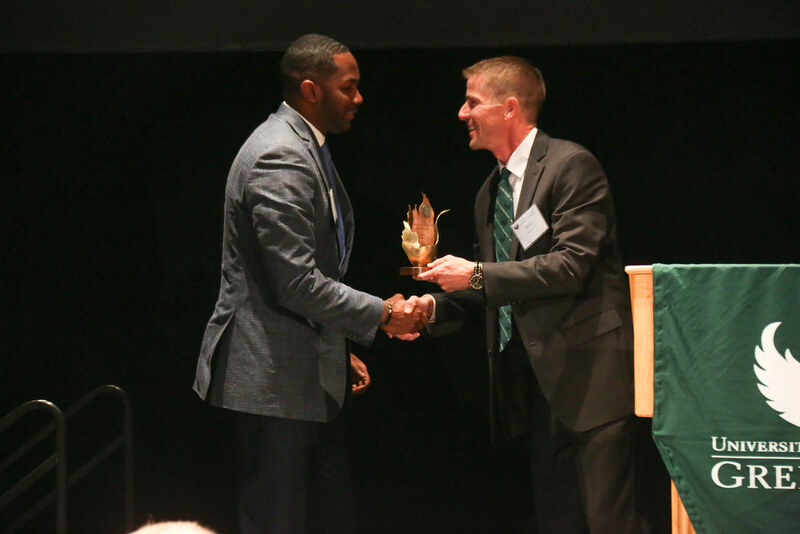 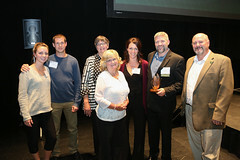 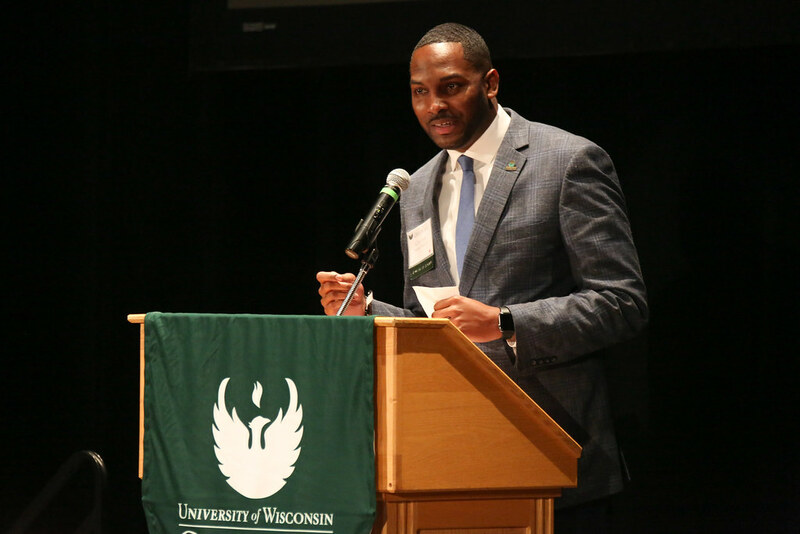 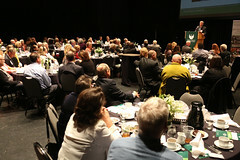 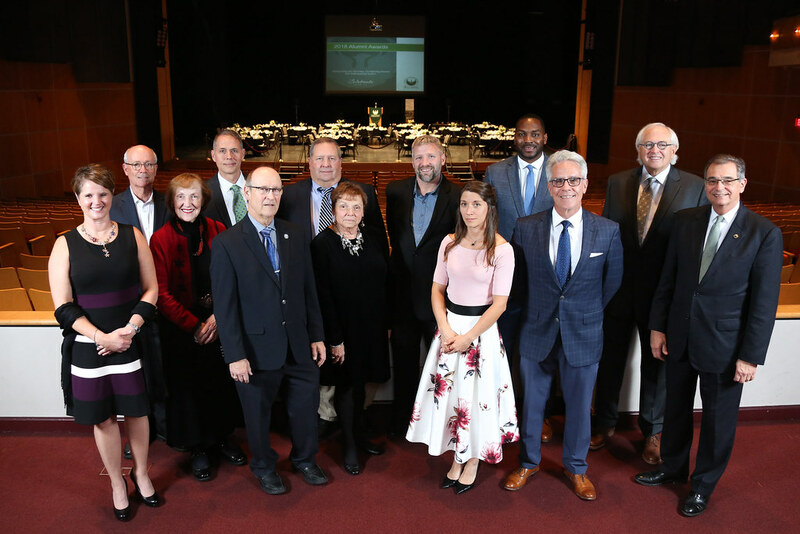 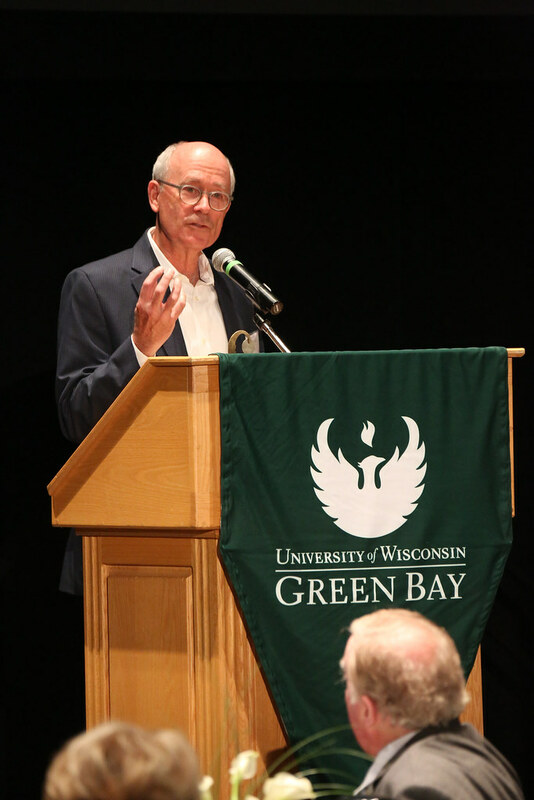 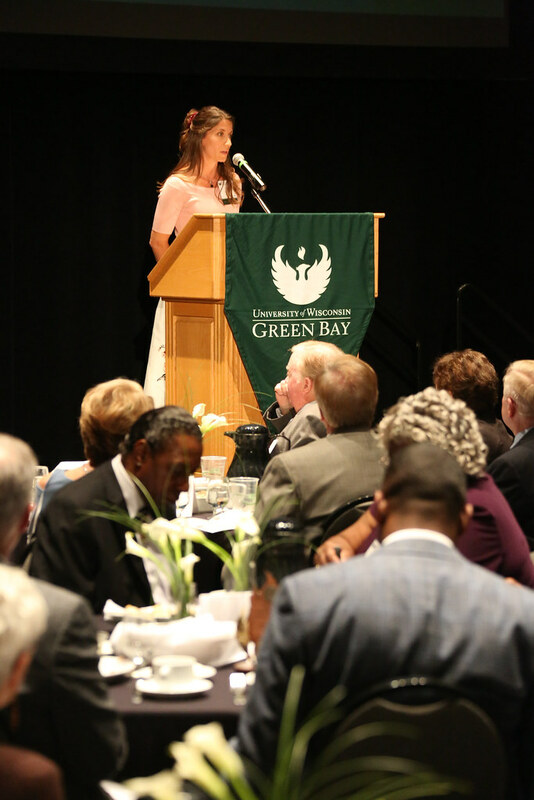 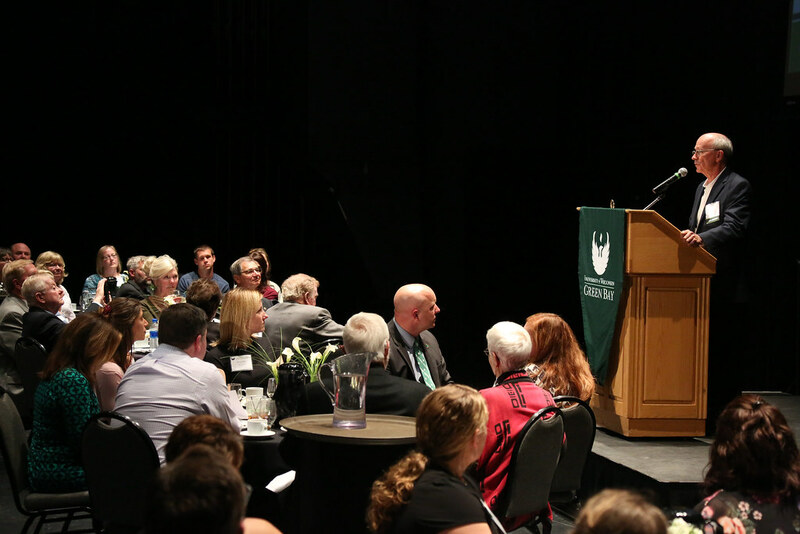 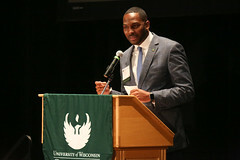 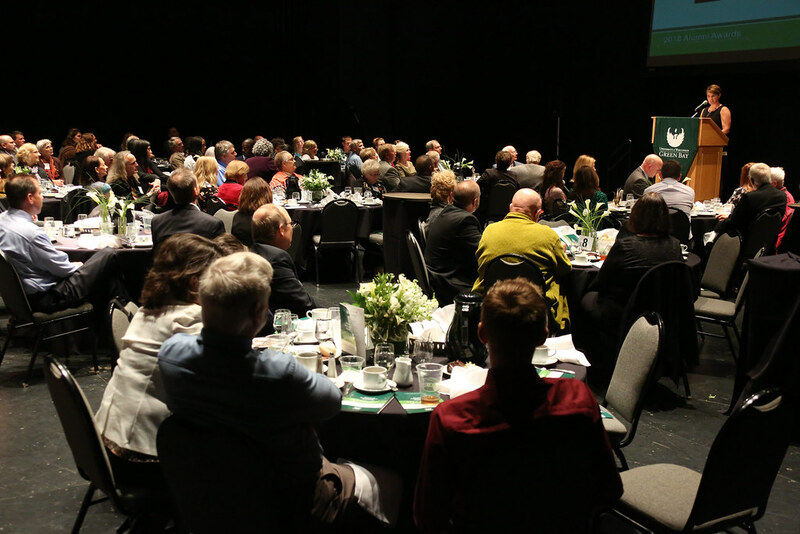 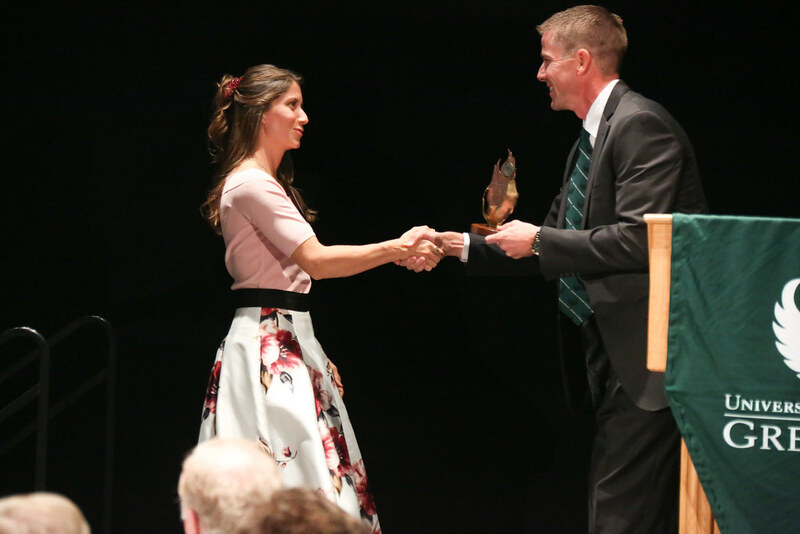 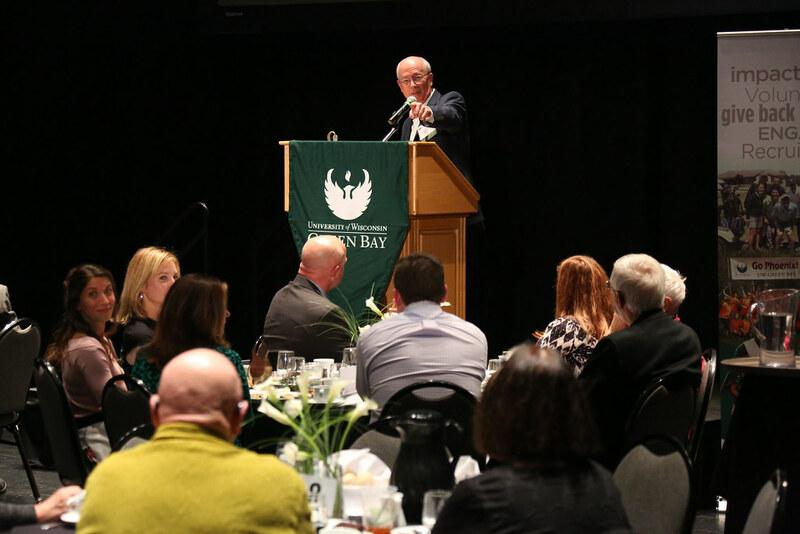 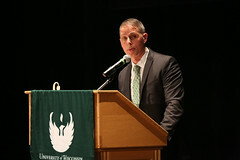 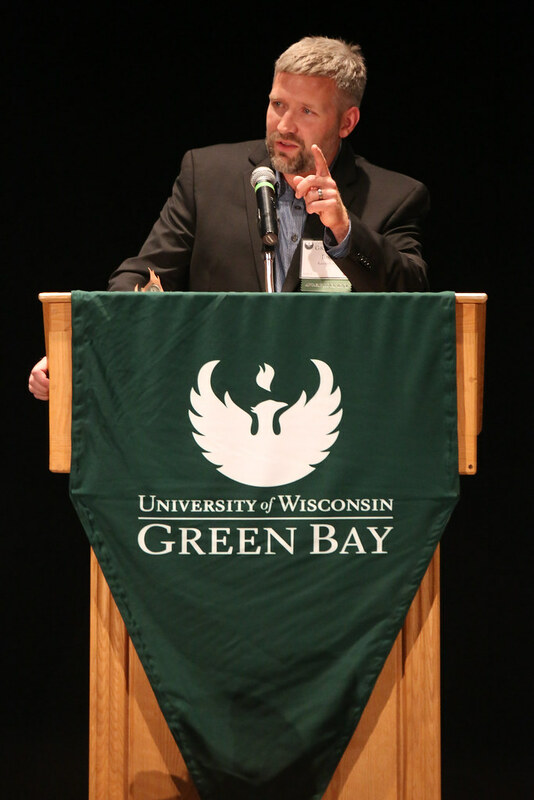 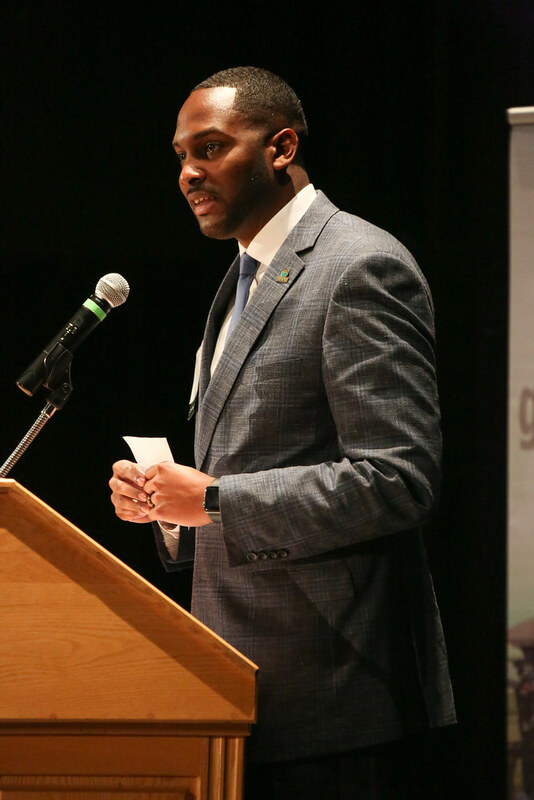 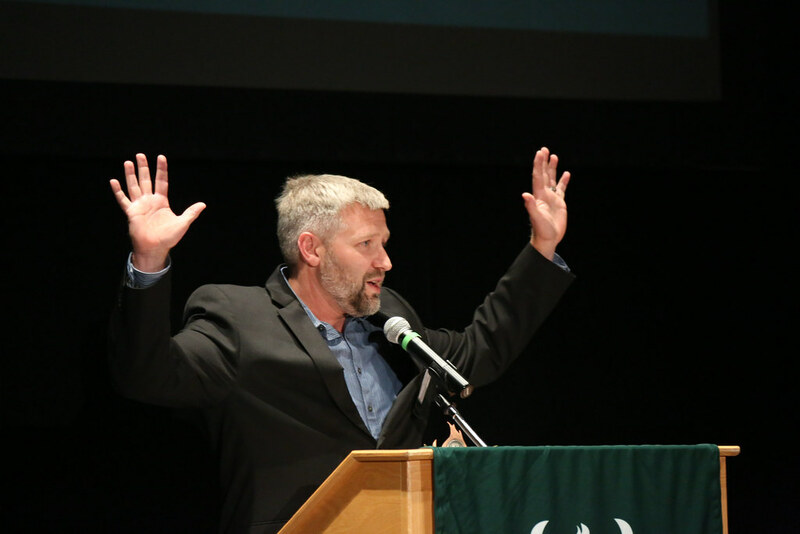 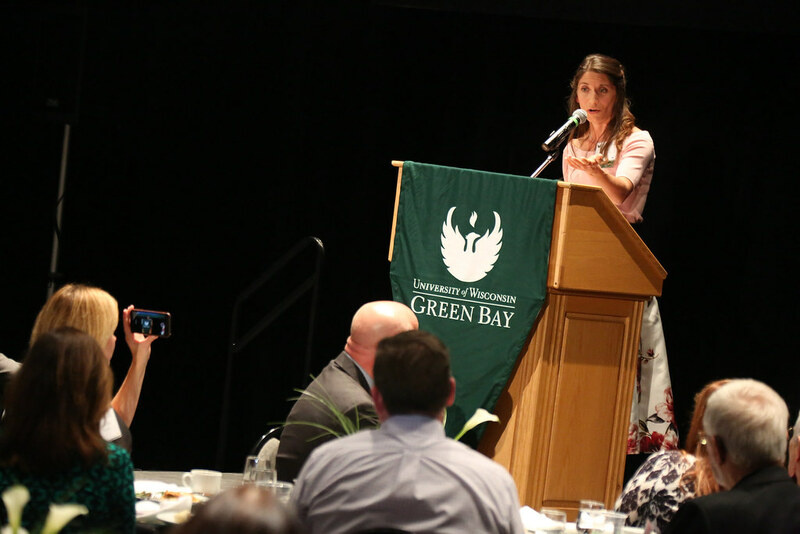 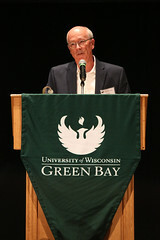 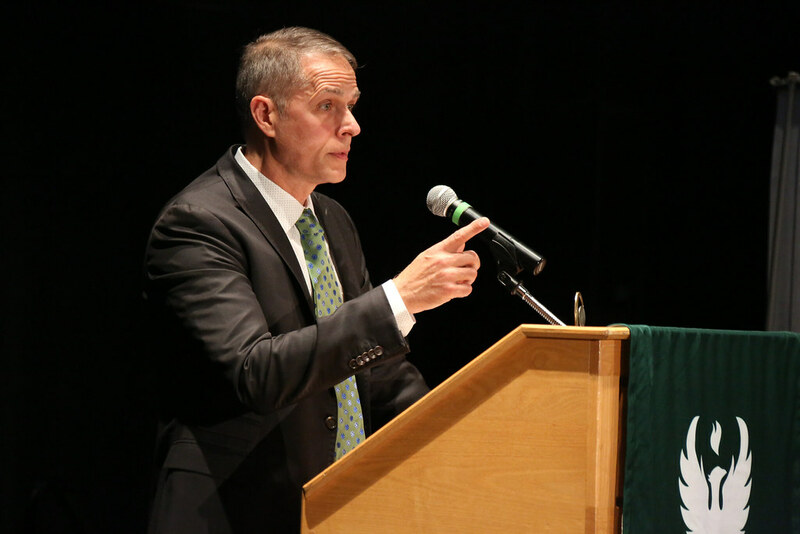 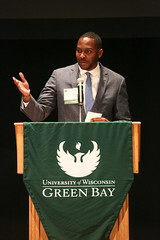 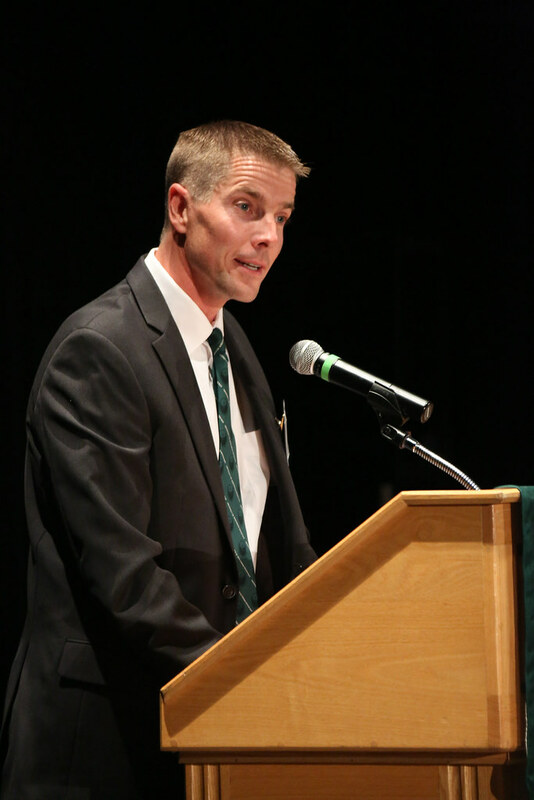 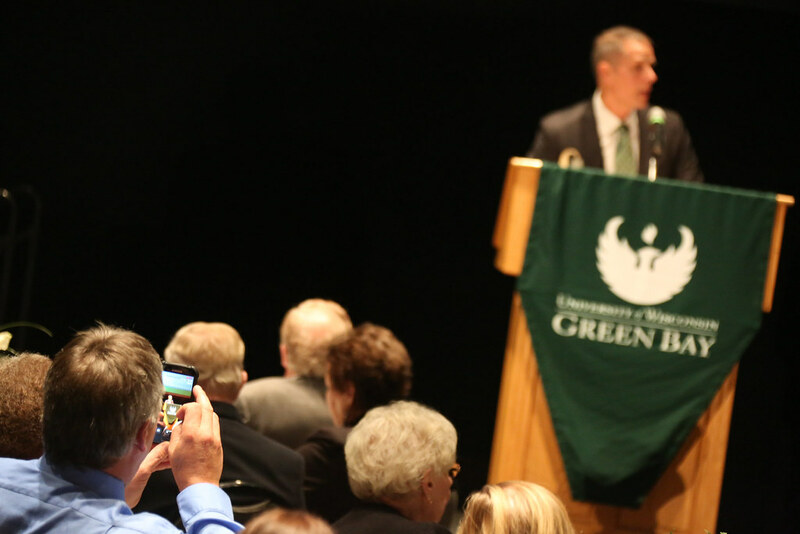 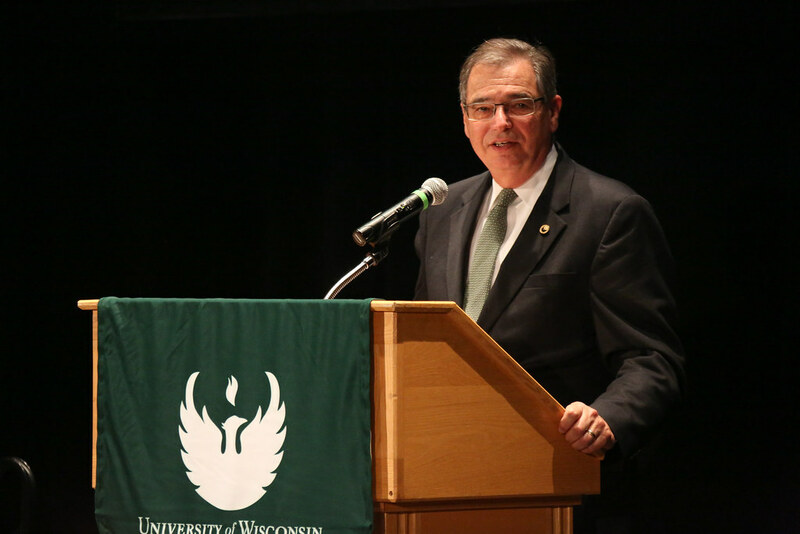 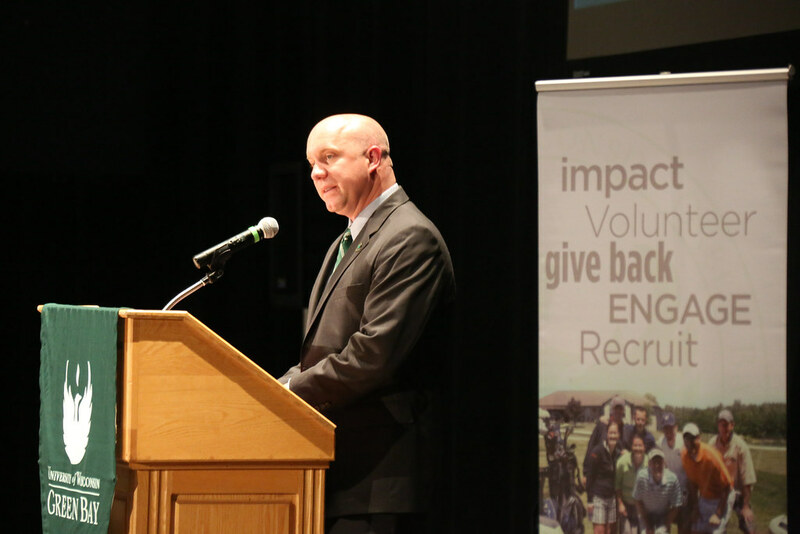 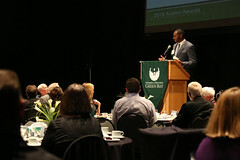 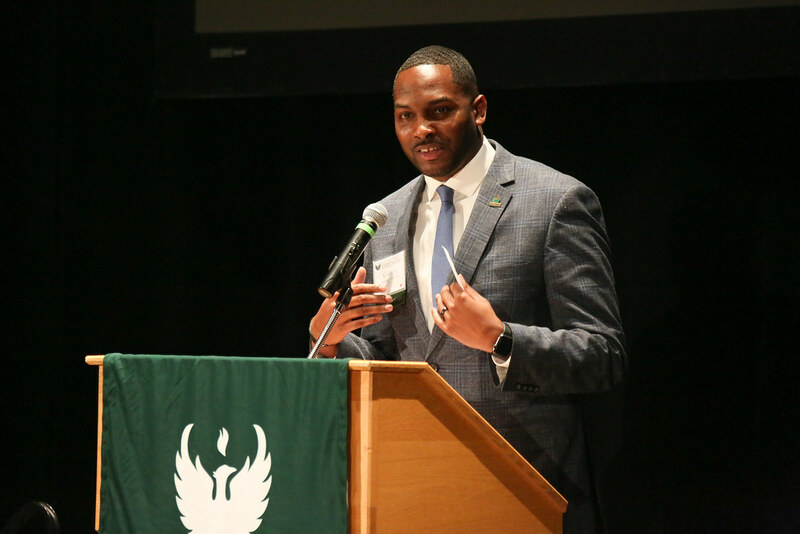 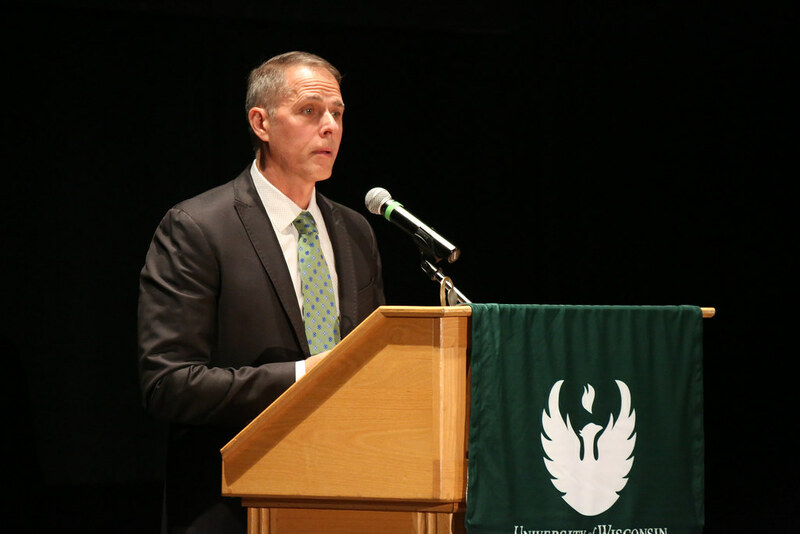 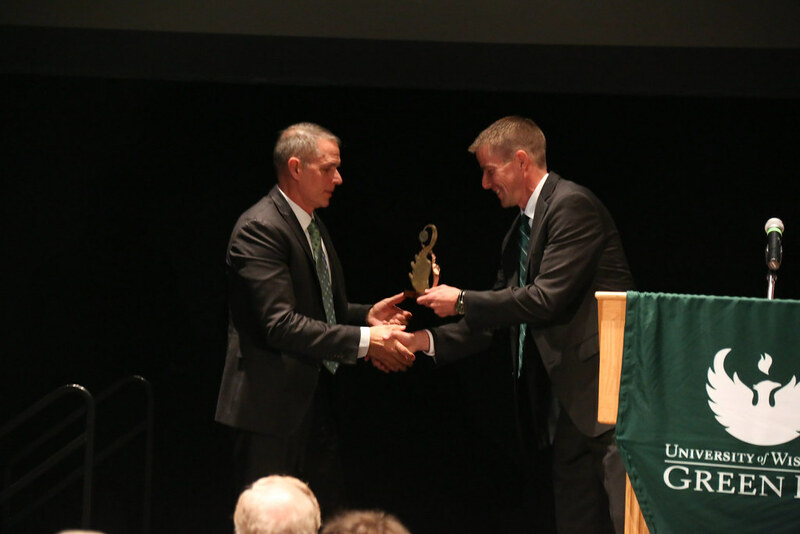 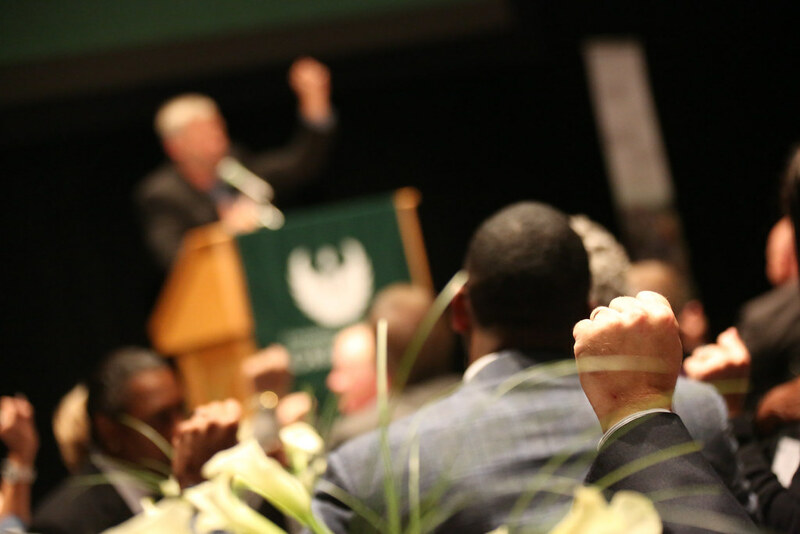 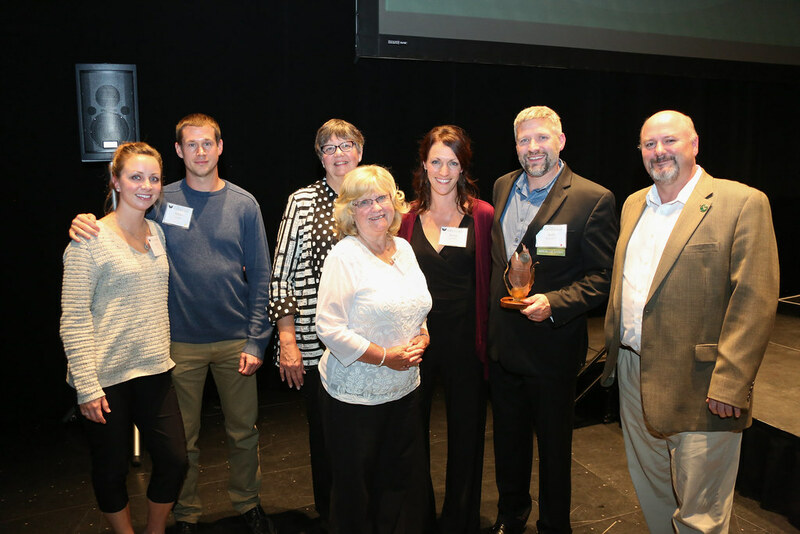 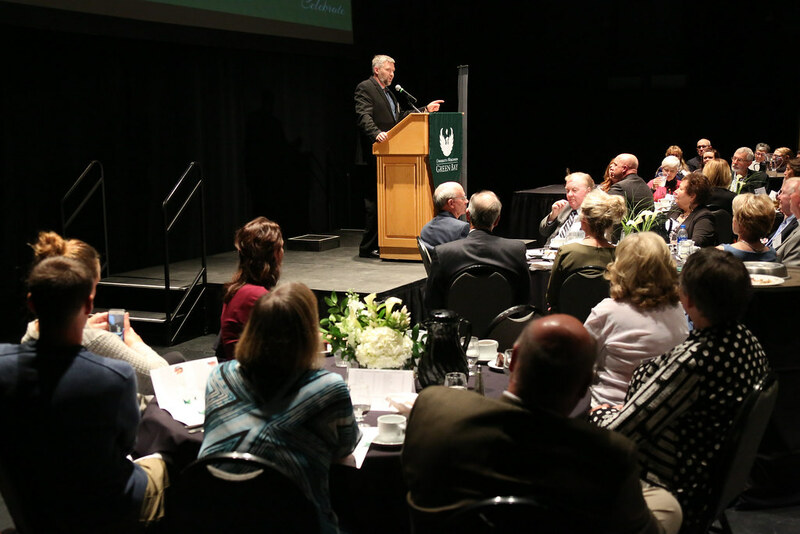 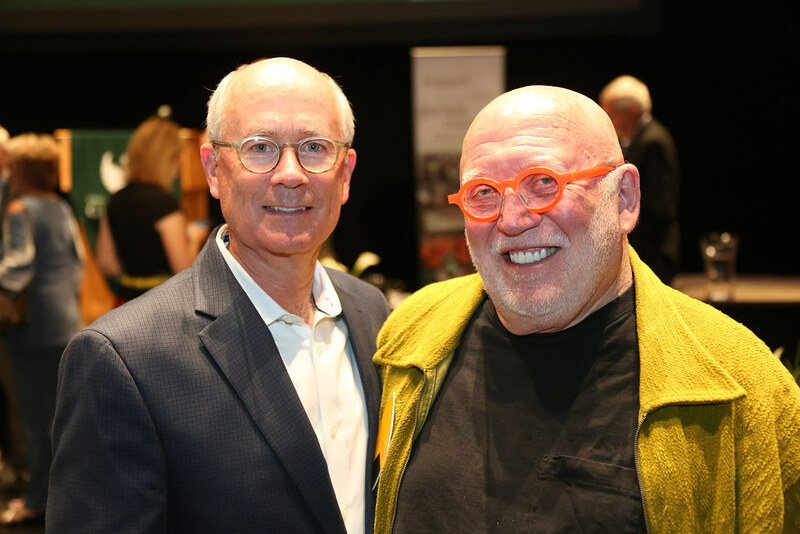 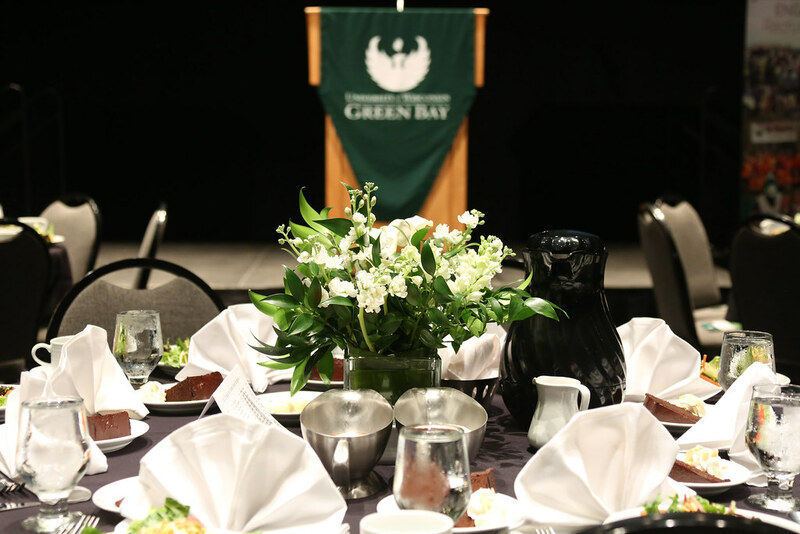 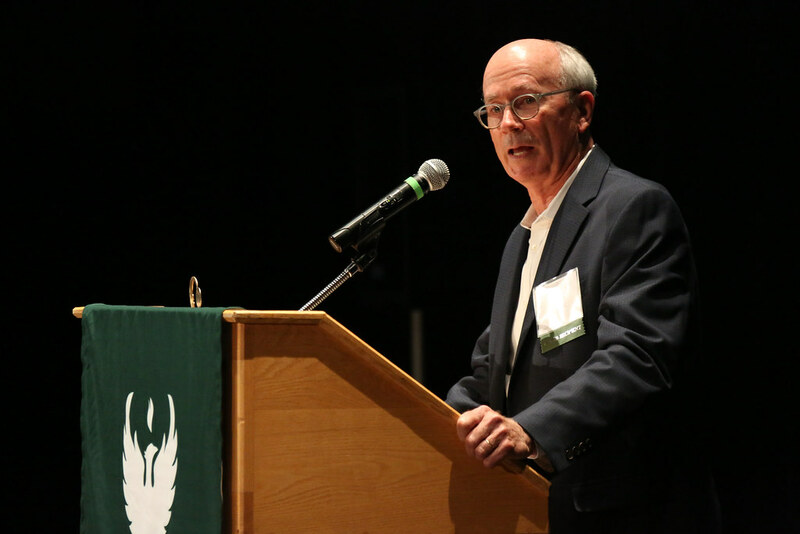 UW-Green Bay was honored by the return of six distinguished and outstanding alumni who returned to campus Oct. 2, 2018 to accept awards recognizing their contributions to campus, communities and workplace. 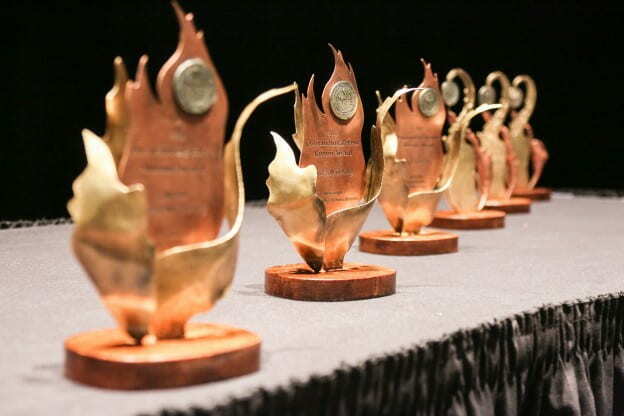 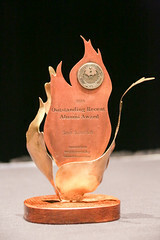 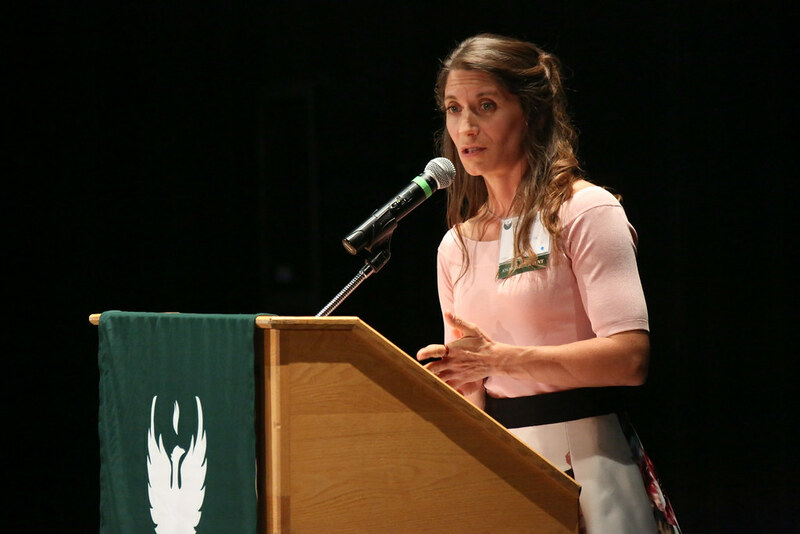 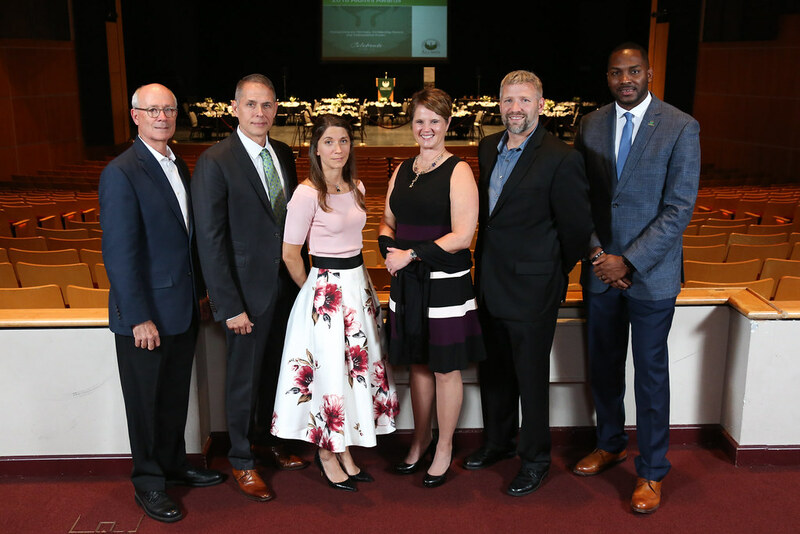 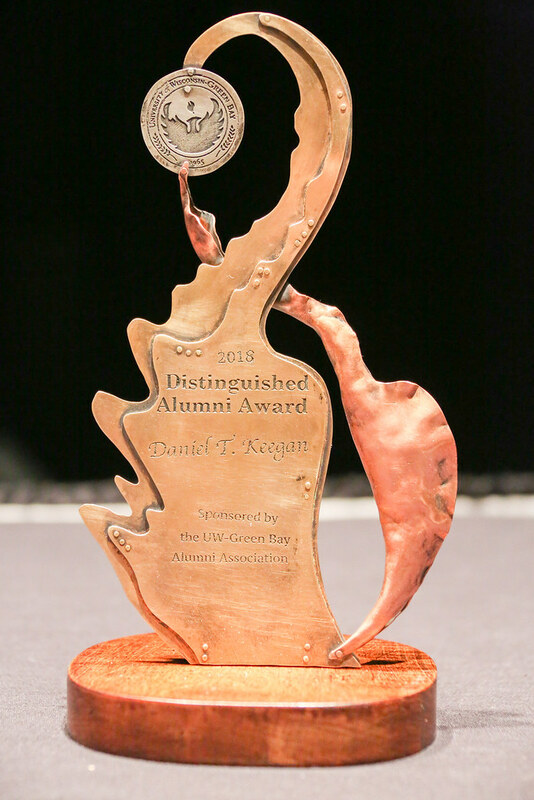 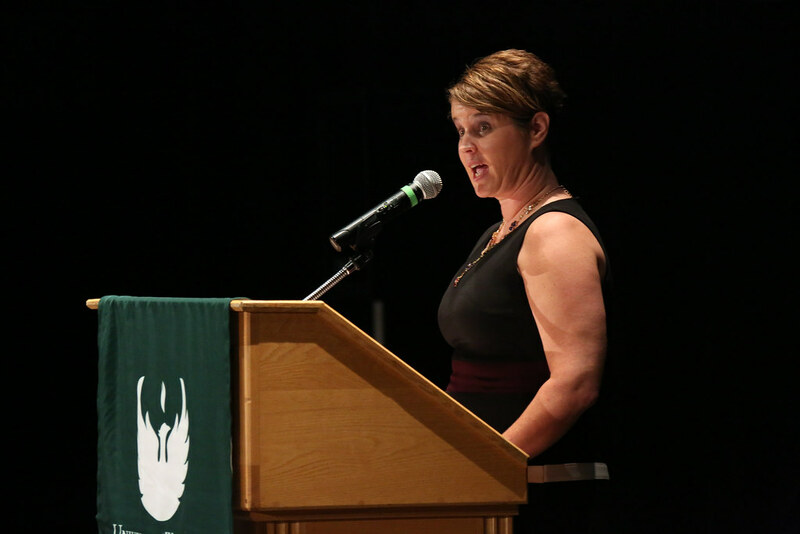 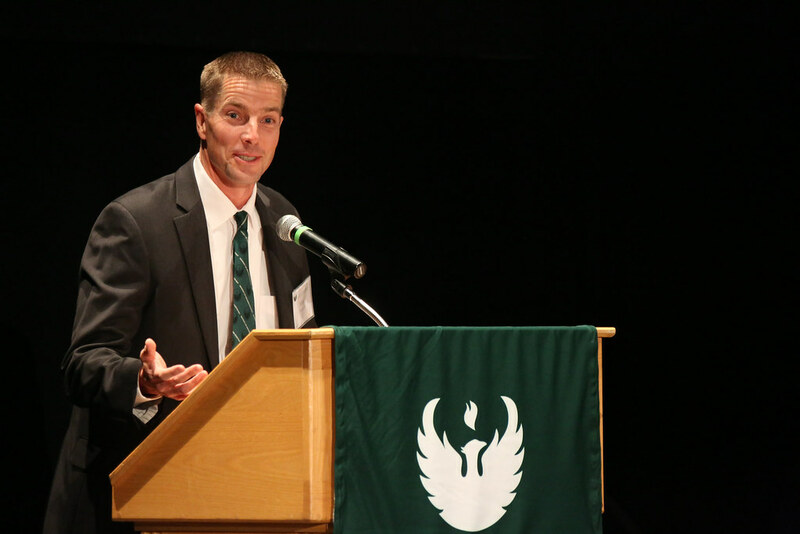 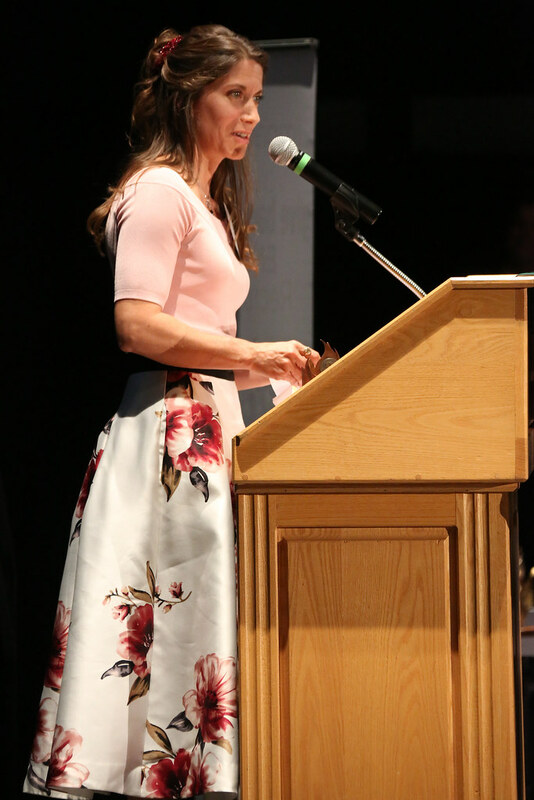 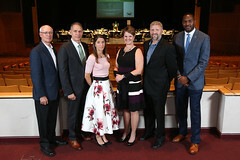 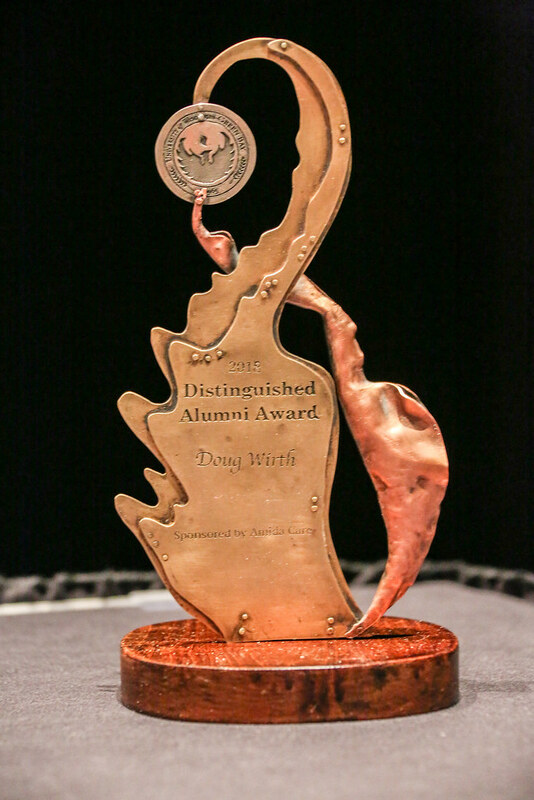 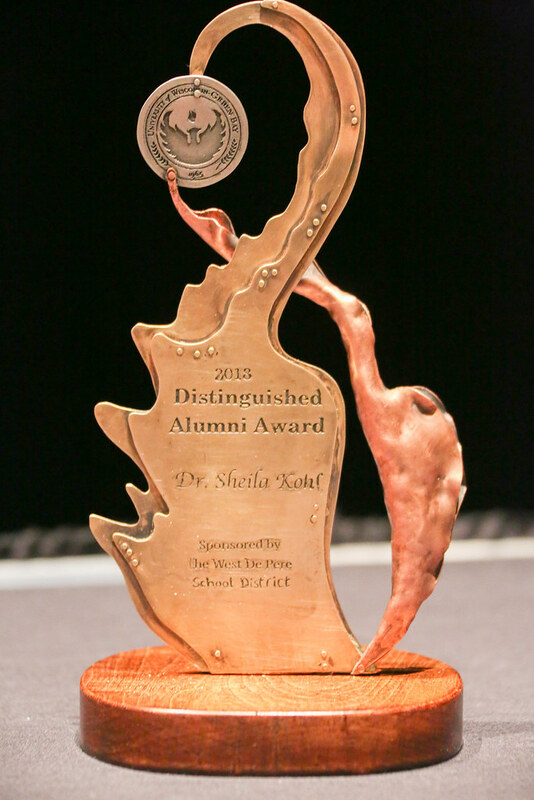 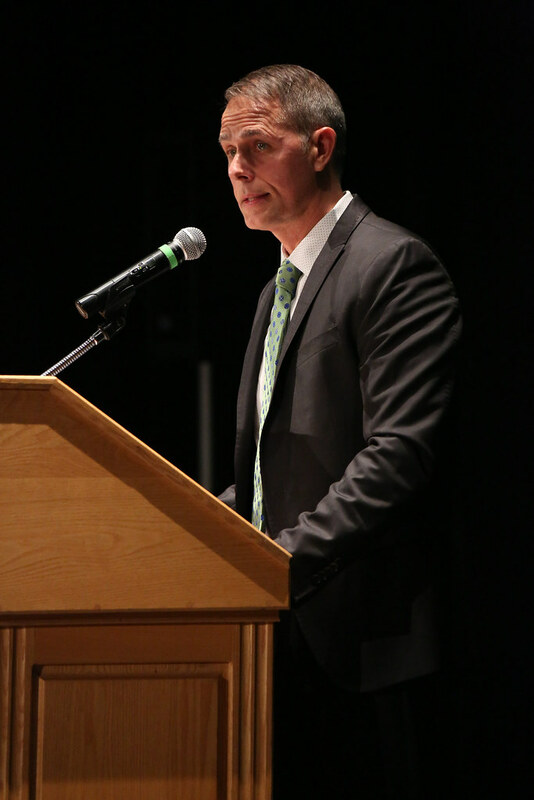 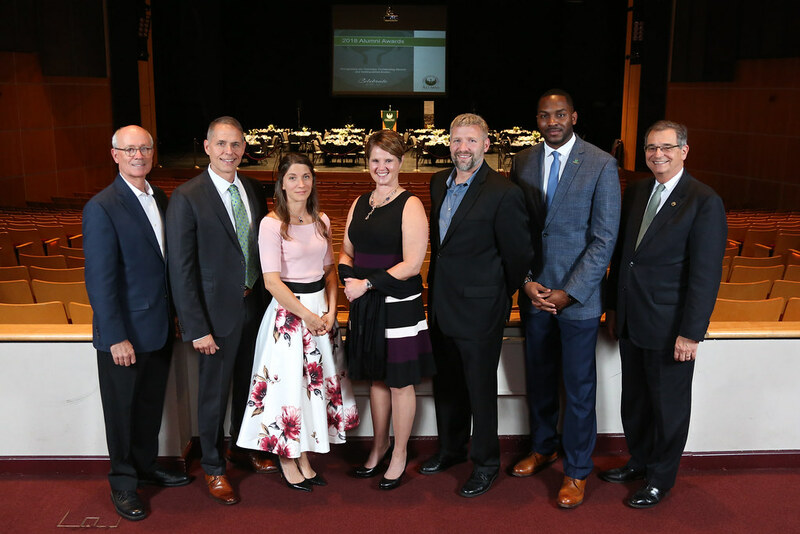 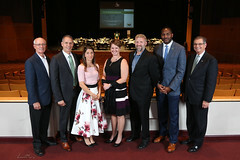 This year’s honorees were Daniel Keegan ’72, Sheila Kohl ’96 and ’05 and Doug Wirth ’89, each receiving the Distinguished Alumni Award; and Cordero Barkley ’09 and ’16, Lisa Fay Coutley ’04 and Joshua Kaurich ‘07, recipients of the Outstanding Recent Alumni Award. 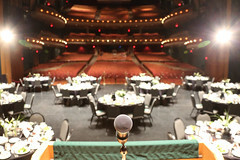 Bios for each are available here. 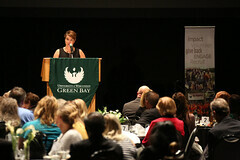 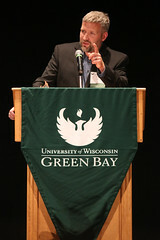 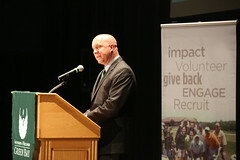 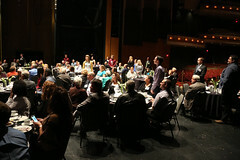 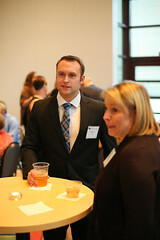 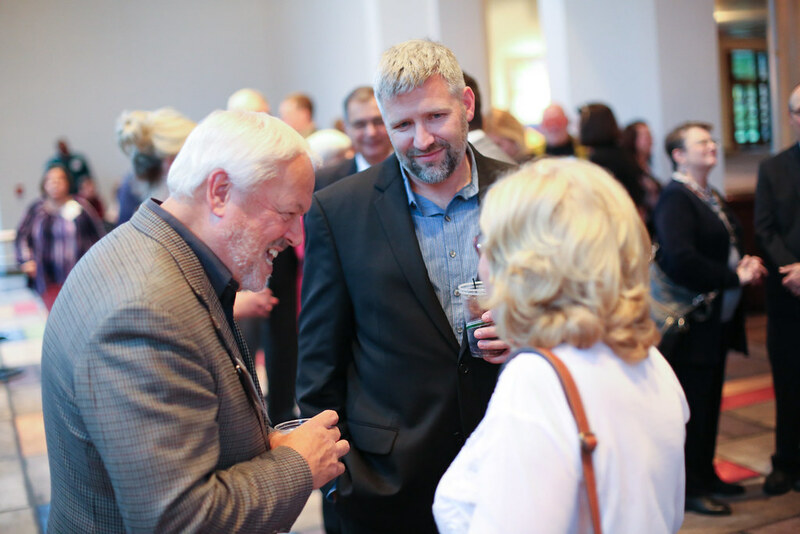 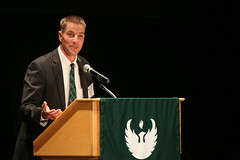 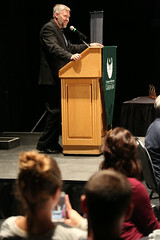 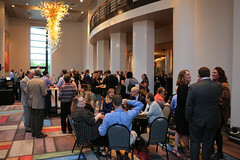 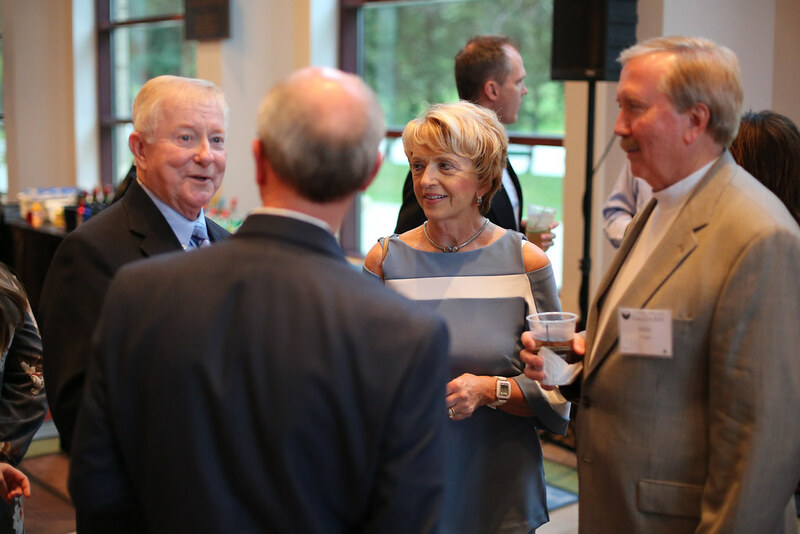 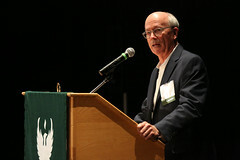 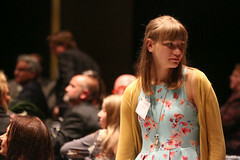 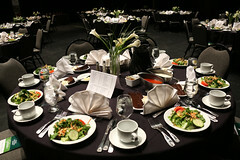 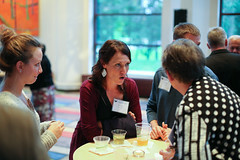 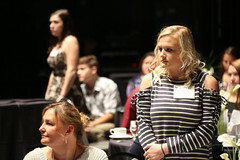 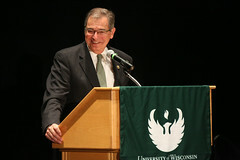 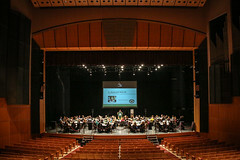 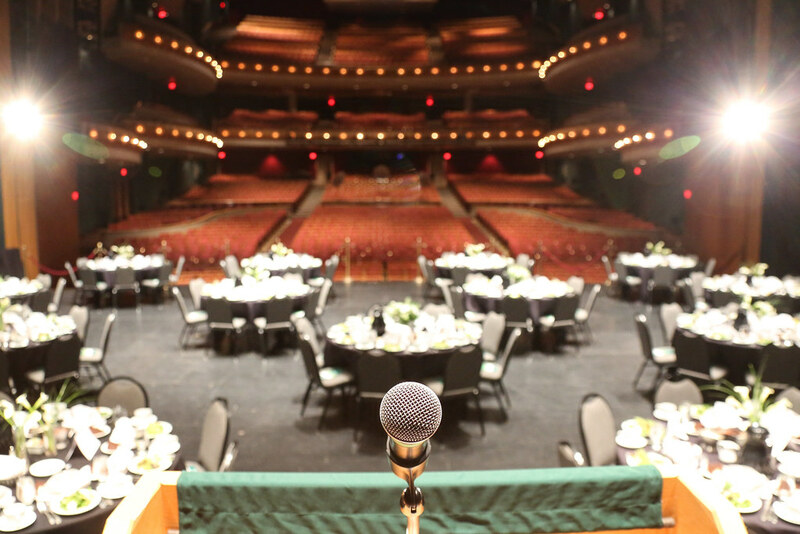 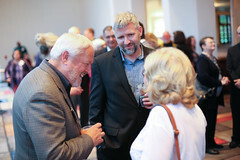 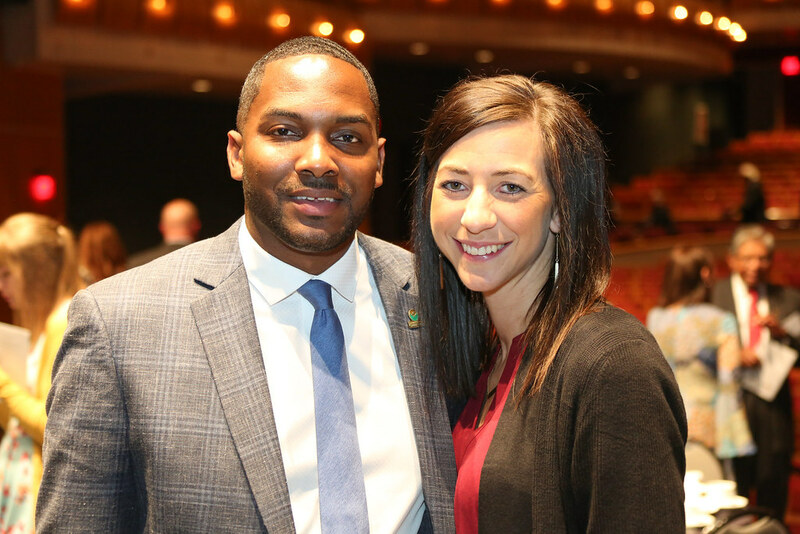 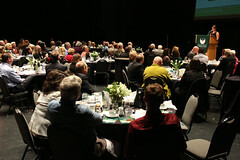 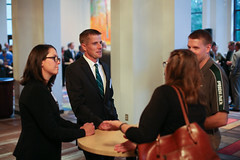 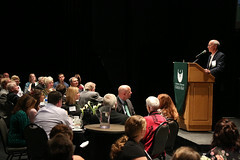 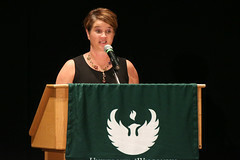 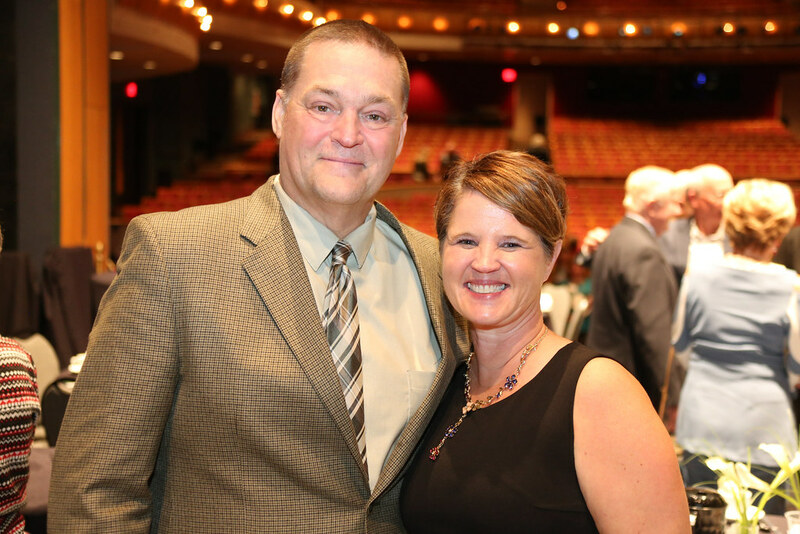 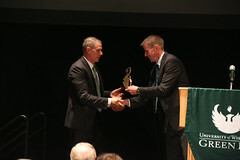 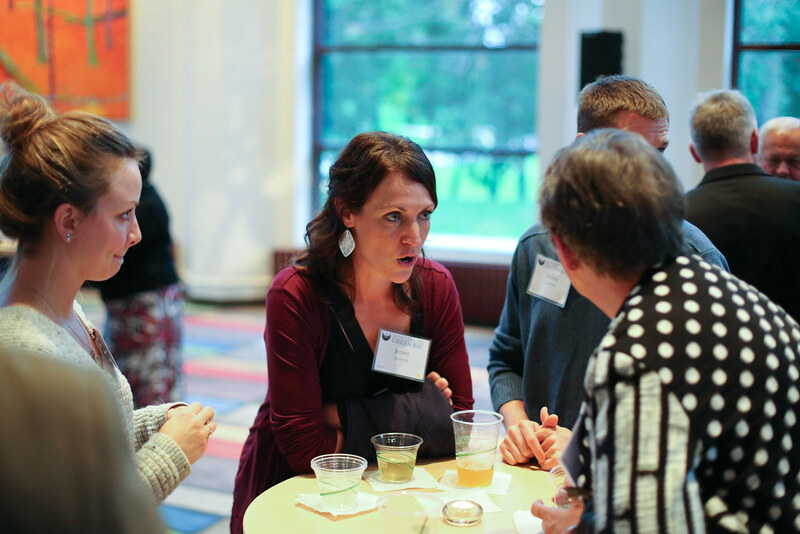 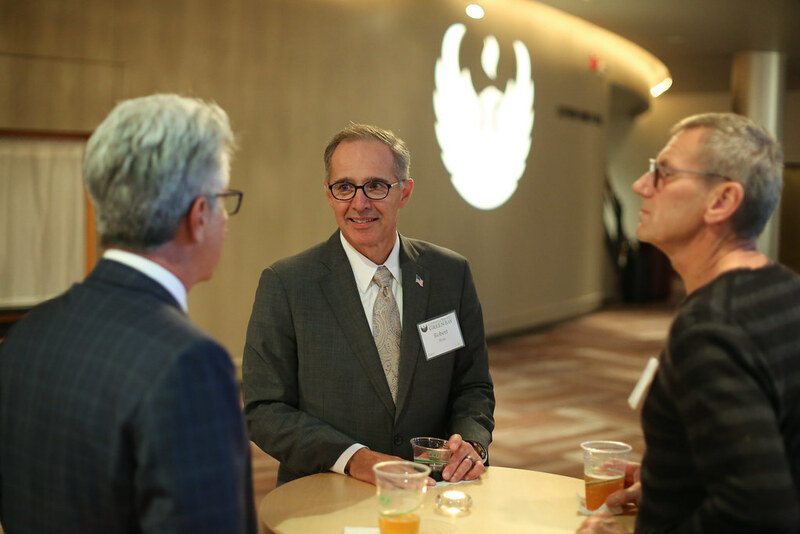 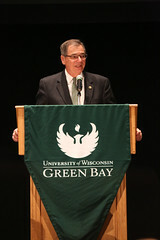 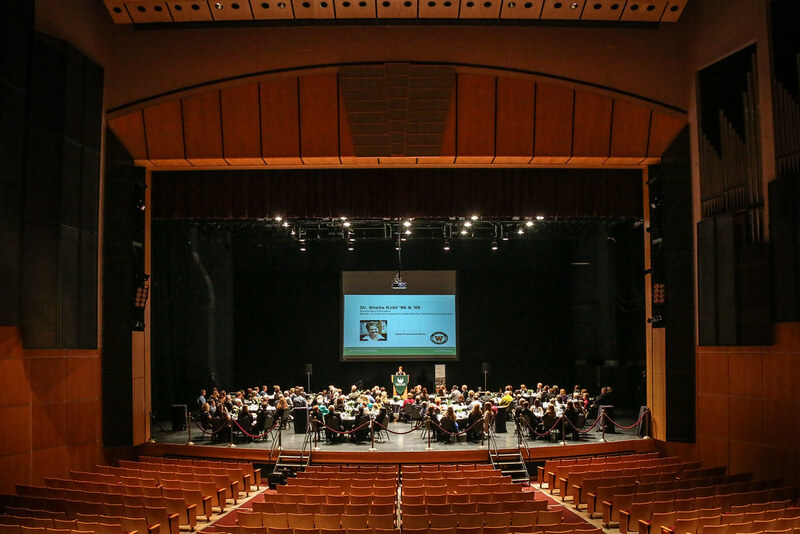 The ceremony took place on the Weidner Center stage, with a reception in the newly remodeled Weidner Grand Foyer. 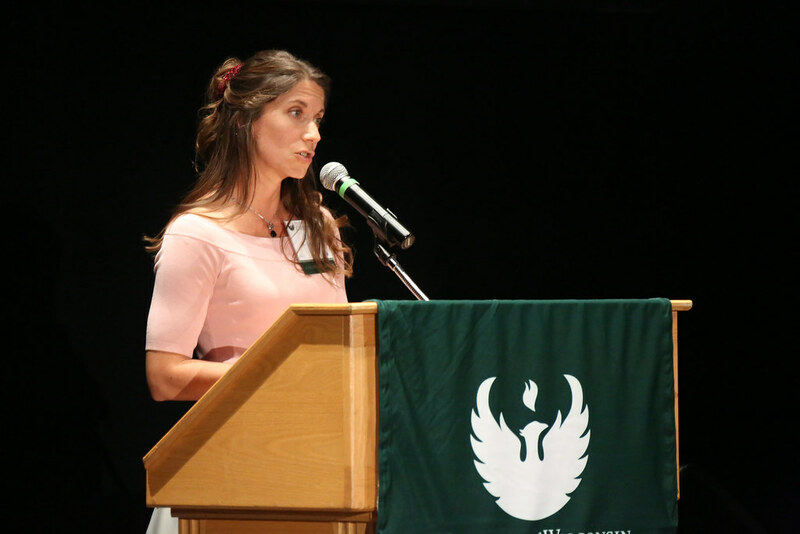 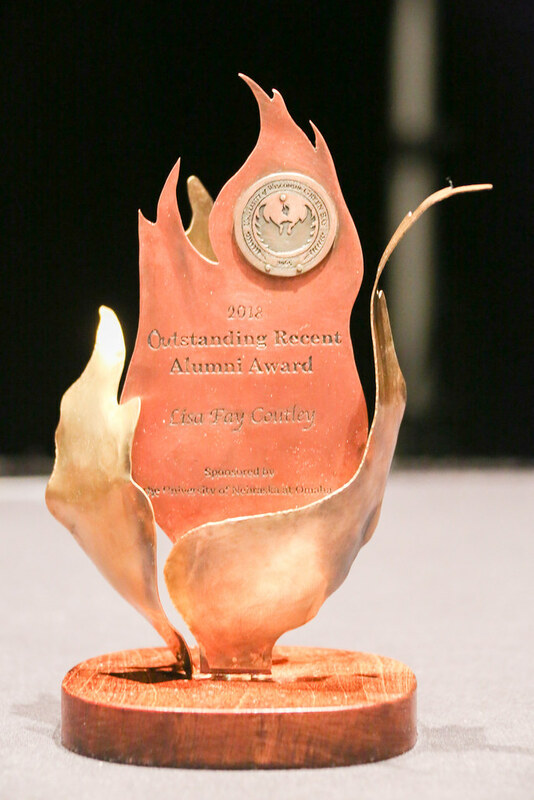 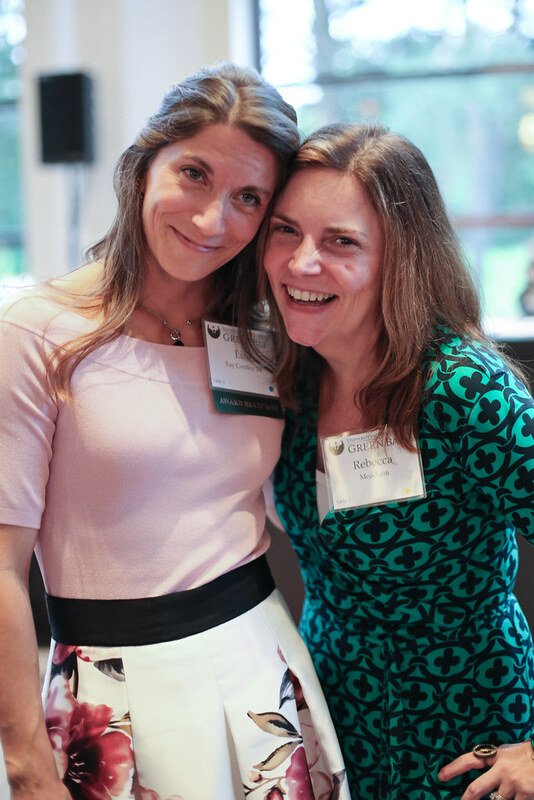 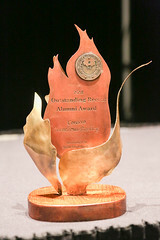 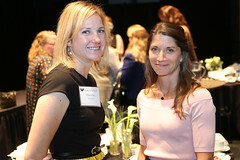 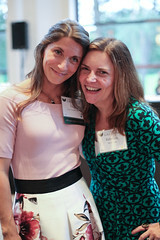 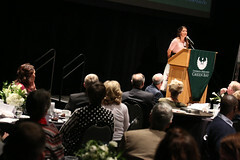 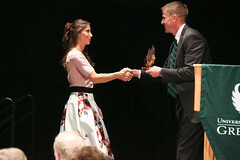 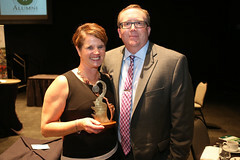 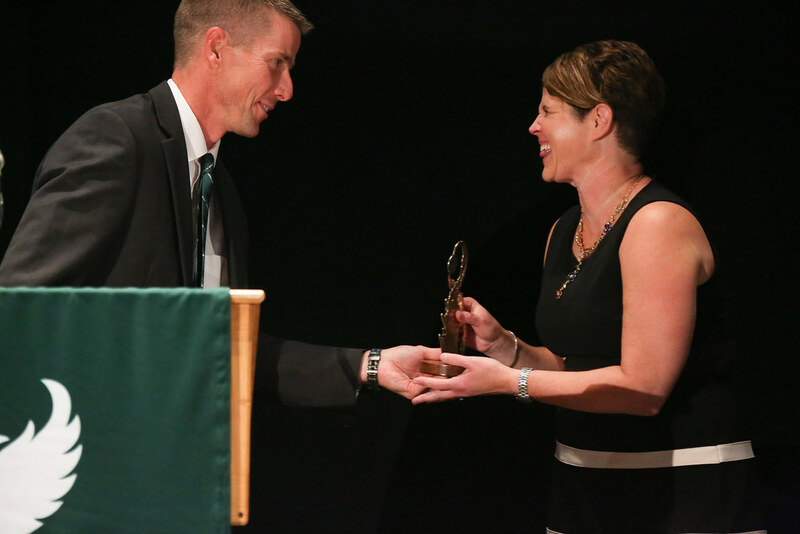 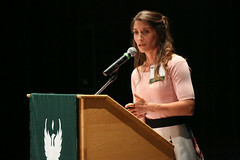 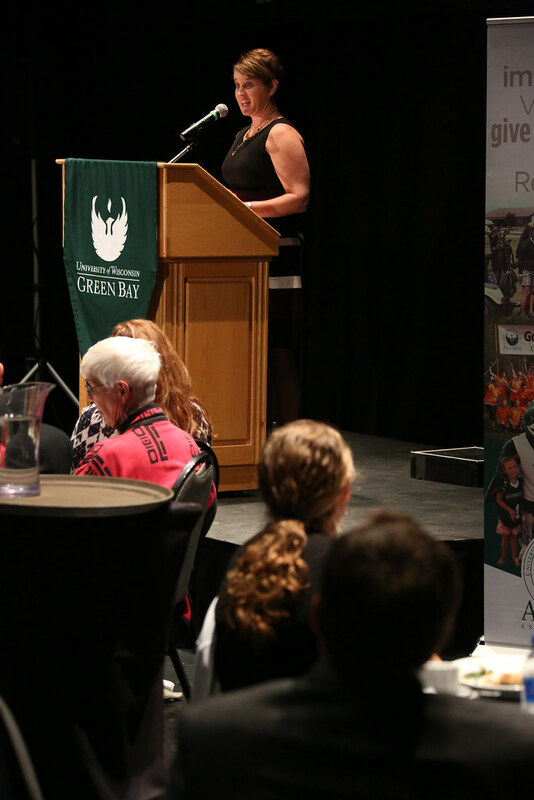 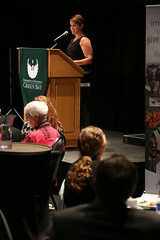 Each recipient was given a hand-made award crafted by artist and alumna Barbi Gossens ’03.